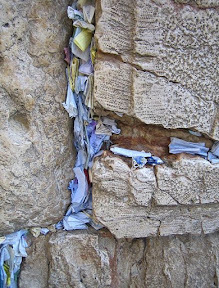 Please stop by often to pray for those whose names are on the wailing wall. Emotional health and treatment. God's grace and mercy. Failing health. Pray that she passes into the arms of her Lord easily. That the tumor that they remove from her bladder won't be cancer. For the strength to overcome his troubles and the willingness to do so. For keeping a father with health issues and his son in their home for 1 year longer by paying all back bills and taxes. For his help with sick veterans finding them homes and taking them to mass every day. I have many health problems. She gave me shelter and food and many prayers. For his mother to come back into his life and to belive in Jesus. For her to come back to r an c.
Allergy, blemishes, financial problem, painful stomach. Upon the death of his beloved daughter, Ruth Beatty Cousino may he have strength as she takes on her next adventure in the afterlife, with her predeceased mother, Teresa Williams Beatty. That God will touch his heart and bring him back to the faith. To help in her illness, for stronger hope and strength in the Lord. That God will pour His Mercy upon all of us, and welcome us to Himself. Sister-in-law to Molly Lowder, recently diagnosed with stage three lung cancer.